Our love affair with the mason jar may never end. Remember those old mason jars your grandmother used to can fresh vegetables? 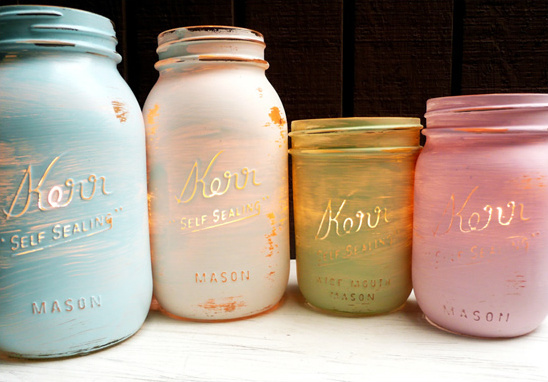 Well, these re-purposed mason jars are an adorable change-up to their old ways. Perfect for your wedding or party decor. These shabby chic mason jars can be used as wedding favors, flower vases, or even put candles in them to brighten up a beautiful evening reception. 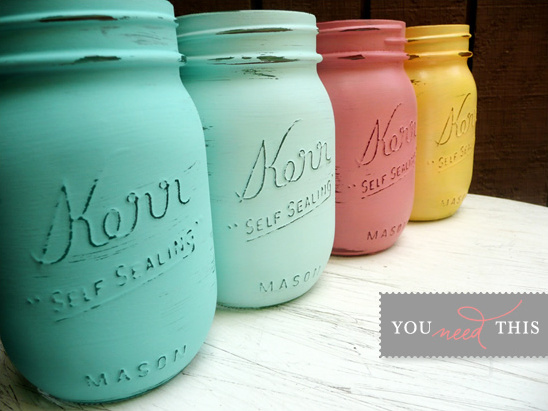 We are totally loving these adorable painted mason jars in every color pleasing to the eye! You can find them on etsy, in the Beach Blues shop here.